A number of sources with intricate knowledge of Apple’s product plans have reportedly confirmed that Tim Cook’s company is planning a significant overhaul of its MacBook Pro lineup sooner rather than later. We’ve been hearing news about a potential 2016 MacBook Pro refresh for quite a while now, but it’s now said to have been confirmed that the range of laptops will be put through a significant upgrade for the first time in four years as part of an attempt to halter faltering sales of Apple’s notebooks. 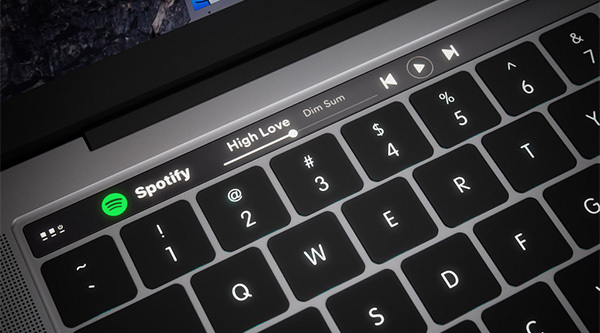 The new MacBook Pro machines have reportedly been in internal testing with Apple and its select partners since the beginning of this year, and will likely be released to market with a thinner form factor, as well as a reduction in overall size and weight. According to Bloomberg, the revamped machines are also said to feature a “touch screen strip for function keys”, which is presumably the OLED bar located above the keyboard that we’ve been hearing so much about over the last few months. The hardware refresh will also appeal to video gamers and advanced users who use Apple’s MacBook Pro machines for a lot of heavy visual work thanks to heavily improved graphics processors. 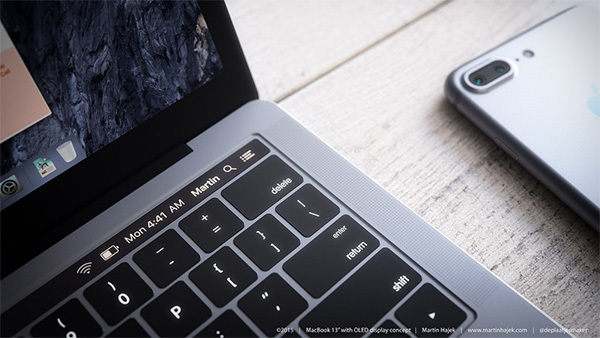 In addition to offering an overall smaller footprint, sources have also suggested that the new MacBook Pros will feature USB-C technology capable of handling data transfer, connectivity to additional displays, as well as instantaneous charging of the machine. To fit in with the new redesigned machine, and to take into account that it offers a noticeably thinner form, Apple is also said to be moving across to using AMD’s Polaris graphics chips for the aforementioned power and processing improvements. AMD have chosen not to comment on the speculation, but the fact that its new card is 20-percent thinner than previous models, it should be a perfect fit for the new MacBook Pro. Last but not least, Touch ID is also expected to make its debut on the Mac via power button. What’s interesting is that we are expecting macOS Sierra to launch to the public alongside the iPhone 7 and iOS 10 at a dedicated Apple event which is said to be happening on September 7th. While that is still likely to happen, what is said to be highly unlikely to happen at the same event is the unveiling of the new MacBook Pro lineup to correspond to that launch of macOS Sierra, which is, of course, the operating system that would ultimately ship pre-installed on these Macs. We don’t know for definite yet when the new MacBook Pros are coming, but when they do they will benefit from Sierra features like Siri, enhanced iCloud integration, Apple Pay via web and even Auto-Unlock when used with an Apple Watch.